Below are the Top 5 items from July. In 2015, I was able to secure $100,000 to start an anti-poverty program in Broome County; this initial funding helped organize the program and was boosted by $1.5 million from the broader Empire State Poverty Reduction Initiative the following year. Since then, the group, comprised of residents, service providers, community leaders, and elected officials, has been working to develop plans to implement a series of programs that will address the challenges those living in poverty face locally. Earlier this month the Governor announced that 12 programs would be funded based on the recommendations of the Binghamton-Broome Anti-Poverty Initiative. On July 16th, I joined some of the community partners who received funding for the announcement. Among the residents involved in this process is Josephine Burrell, who helped shape one of the funded programs; the Binghamton Community Advocates Project (BCAP). She spoke about how the initiative is impacting residents like her; click here to watch a video of her remarks. 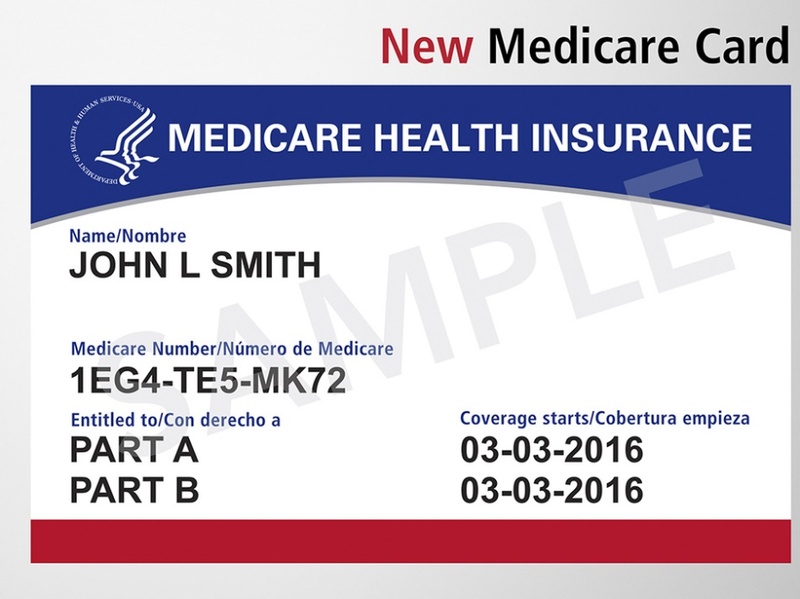 Medicare beneficiaries will soon be receiving new identification cards in the mail. I joined Action for Older Persons and Broome County Office for Aging on July 19th at the Vestal Senior Center to share information on what to expect. The new cards will be sent by the Department of Health and Human Services and the Centers for Medicare and Medicaid Services. To enhance beneficiaries’ security, the new cards will have a new, randomly generated alpha-numeric identification number, replacing the Social Security number that was included on the old cards. A sample of what the new Medicare cards will look like. The new cards can be used immediately after they are received. Action for Older Persons urges that old cards be shredded and discarded. AOP also notes that no one will be contacted by phone prior to the new card arriving; any calls received asking to verify information related to your new card should be considered a scam. To read more about the new cards, click here. Additional questions can be directed to AOP at 607-722-1251. 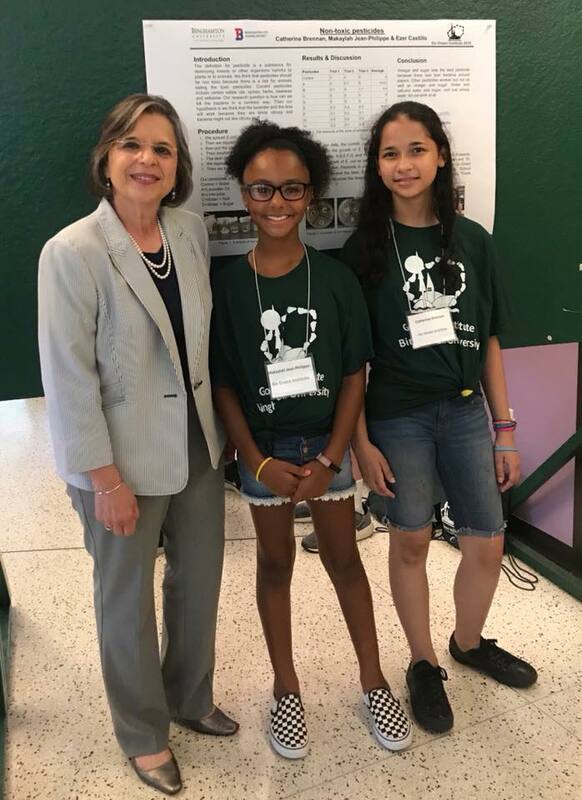 On July 20th, I spoke at the closing ceremony of this year’s Go Green Institute at Binghamton University, a 10 day hands-on learning experience about how to create a more sustainable environment. More than 70 middle school students participated in this year’s program, which was funded by the Binghamton City School District through the Empire State Afterschool Program. Through Go Green, students explore science, technology, engineering, art, and math (STEAM) as a way to solve problems. Jobs in these fields are among the highest paying and and are rapidly growing. Students reported being more inclined to pursue these careers as a result of this experience. The students and their projects were really amazing! Assemblywoman Lupardo with students from this year’s Go Green Institute at Binghamton University. 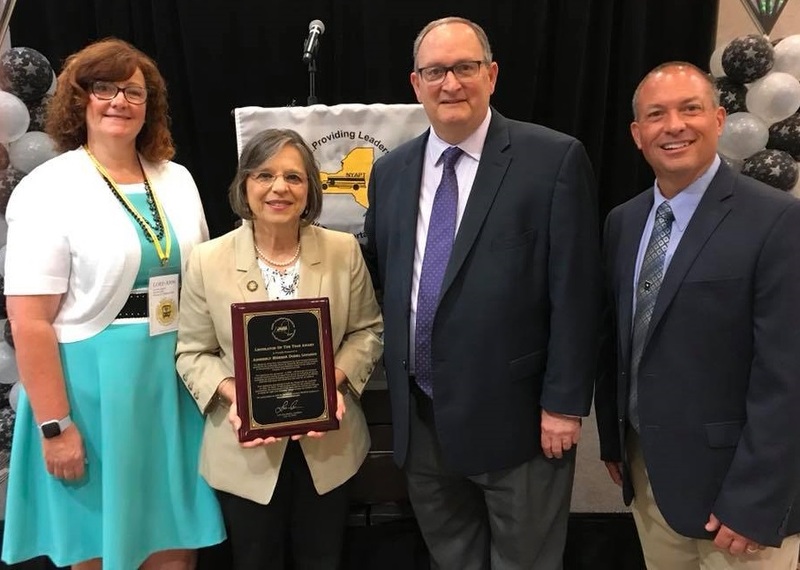 On July 17th I was honored to receive the New York Association for Pupil Transportation (NYAPT)’s Legislator of the Year award at the group’s conference in Albany. I worked very closely with NYAPT on legislation I passed this year that expands drug and alcohol testing for school bus drivers. Currently only 10% of bus drivers employed by a motor carrier are subject to random alcohol testing; none of these are drivers of smaller school buses (16 passengers or less). This legislation would make all drivers eligible for random testing. The bill passed both houses of the State Legislature prior to the end of session and will now go to the Governor for consideration. You can read more about this bill by clicking here. On July 19th a favorite event returned: Pops on the River. After a 25 year lapse, thousands of people attended the Binghamton Philharmonic’s concert and watched a spectacular fireworks display at the end of the show. It was great to see so many people gather in Downtown Binghamton; organizers are already working to improve the event for next year where they plan to add more speakers to the sound system. Over the last few years we’ve seen renewed interest in our waterfronts. Restaurants and housing units have popped up along the river and the greenway along the banks of the Chenango has made the water a recreational destination once again. 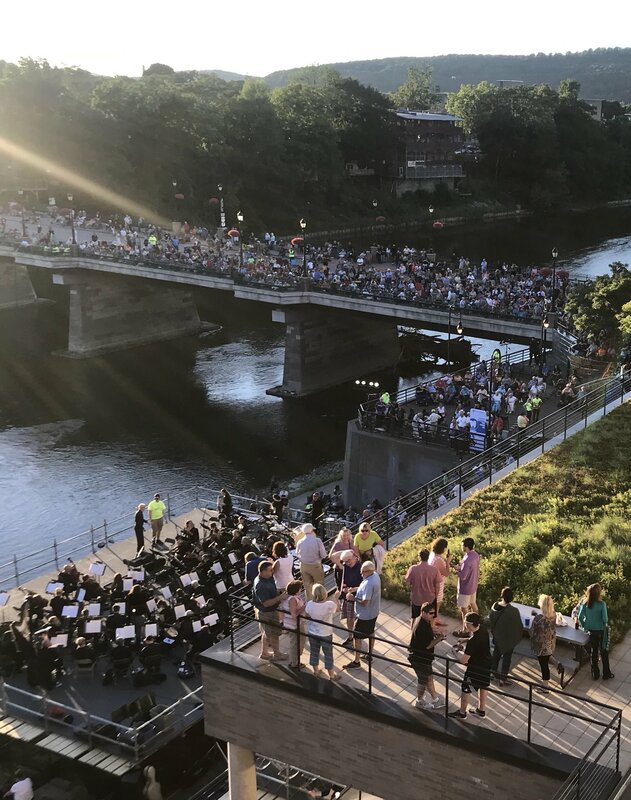 Thousands surround the Pops on the River event in Downtown Binghamton.